Our trained professional Greenwood Physio Team take pride in providing quality care, support and highly specialised treatment tailored to each individual. Our friendly team are always here to help with pain, injury, age care, rehabilitation and much more. Our practice has been accredited by the Australian Physiotherapy Association (APA). 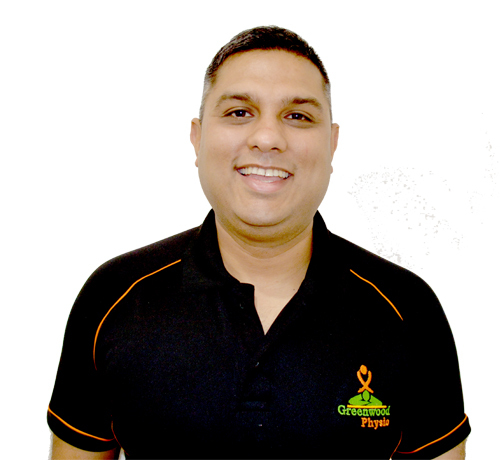 Greenwood Physio was established in 2012 by the Director, Nitin Gautam. 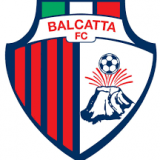 The business started off small and developed into the 32 staff members it has today, with full-time, part-time and casual team members. Our vision is to create a truly unique practice that delivers best outcome physiotherapy services to each individual. Greenwood Physio highly values integrity, teamwork, ownership and innovation. We value maintaining the highest professional standards with open and honest communication. 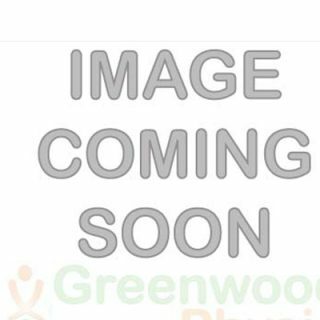 The Greenwood Physio team consists of respectful, professional and supportive health professionals who take ownership of their actions with the ‘’we will say what we do and do what we say’’ attitude. We have a client centred approach by regularly engaging and connecting with clients, acting on opportunities to grow and improve from their feedback. Greenwood Physio is growing and expanding everyday by providing outstanding service to clients. 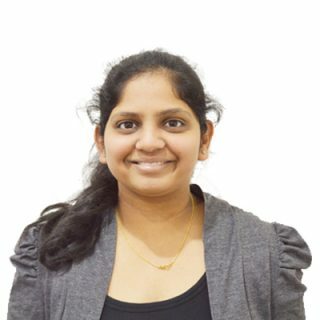 Niyati graduated from Curtin University in 2010 with a degree in Physiotherapy, then went on to complete her post graduate training in Lymphoedema management. Previously working at Mount Hospital and Attadale Hospital in various physiotherapy areas including ICU, oncology, rehabilitation, orthopaedics and womens health with a focus on training of pelvic floor muscles using Real Time Ultrasound and ante/post-natal related issues. Her main areas of interest include Lymphoedema management, musculoskeletal injuries and women’s health. 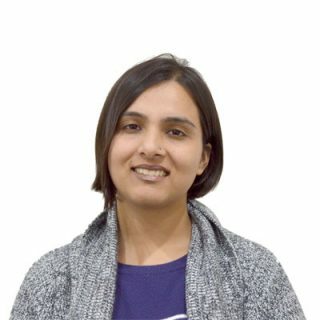 Niyati is a member of the Australian Physiotherapy Association and Australian Lymphology Association. Samantha graduated from Curtin University with a Bachelor of Science in Physiotherapy. 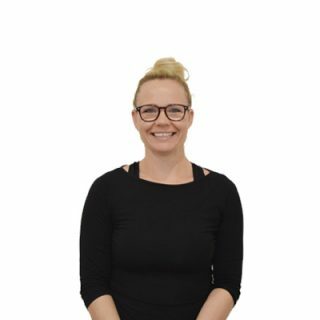 Samantha joined Greenwood Physio in mid 2014 where she runs hydrotherapy and Pilates classes in addition to providing outpatient physiotherapy services. 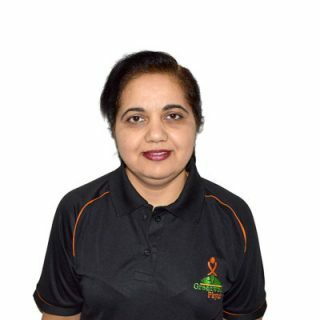 She is currently involved with providing therapeutic pain management services to various aged care facilities across Perth. Samantha has a keen interest in sports/musculoskeletal injuries, having played competitive volleyball and athletics for a number of years. Her other main interests include Pilates and hydrotherapy based rehabilitation. Michael graduated from Curtin University in 2012. As a new graduate, he moved interstate to work at the Royal Hobart Hospital on Acute Medical and Surgical wards. Michael returned to Perth and continued to work in the hospital setting at Joondalup Health Campus, which provided experience in rehabilitation, orthopaedics and complex trauma injuries. Michael grew up playing multiple sports but has a keen interest in AFL. With significant rehab experience, Michael is keen to help people return to sports or hobbies they love. Michael is also member of the Australian Physiotherapy Association. Tanja has completed her Certificate IV in Massage Therapy and Diploma of Remedial Massage at the Central Institute of Technology in Perth. Before moving to Perth in 2015, she also completed a Bachelor degree in Physiotherapy in Croatia. 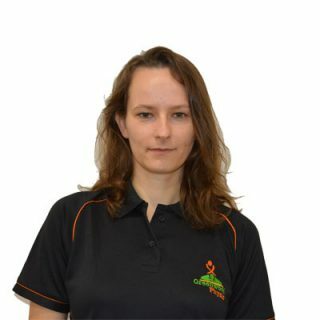 Tanja has worked in various sports clubs (soccer, tennis, volleyball and athletics) in Croatia and developed a special interest in musculoskeletal injuries and neurological disorders. In her spare time, she plays volleyball and high jumps in athletics. 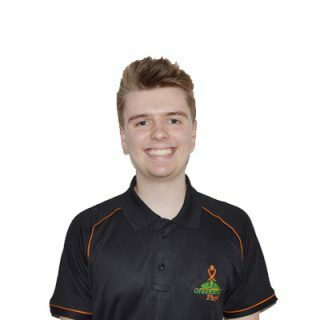 Luke graduated from Curtin University in 2017 with a degree in Physiotherapy. 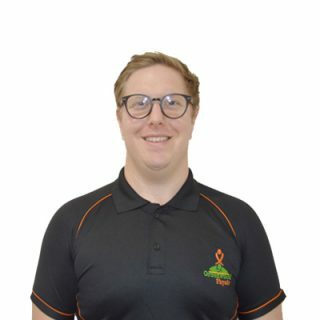 Luke joined the Greenwood Physio team in February 2018, previously he worked in a private practice in Woodvale independently in a multidisciplinary clinic. Luke focuses on working together with his clients and providing top quality hands-on treatment, he has also completed post graduate courses in dry needling, sports taping, pain management and inflammatory conditions. 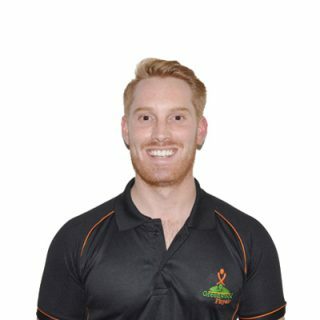 Luke is a soccer, cricket and AFL enthusiast and has a passion for post-injury/surgical management, workplace rehabilitation, geriatric care and treating musculoskeletal problems. Chris has more than 12 years experience as a Physiotherapist in a wide range of disciplines. He has worked in acute hospitals metro and rural. Chris has worked in private practice clinics with a focus on home care and community and aged care facilities in Australia and the UK. He excels in Musculoskeletal, Acute Medical/Surgical, Emergency department and in particular Neurological (Vestibular) Physiotherapy rehabilitation. Chris treats dizziness or vertigo which are common symptoms that Vestibular Physiotherapy can help in most cases. Chris can extensively assess the problem, then depending on the problem can treats/rehabilitates or refers onward. 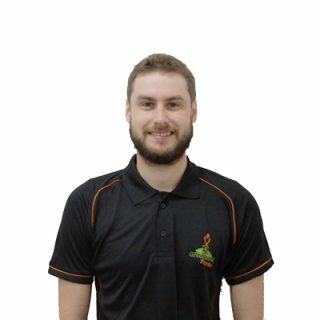 Luke has completed two degrees in 2012 Luke graduated from Edith Cowan University with a Bachelor of Science in Exercise and Sports Science and in 2016 Luke graduated from Curtin University with a Bachelor of Science in Physiotherapy. He has a passion for geriatric rehabilitation, persistent pain management and return to competition from complex sporting injuries. Richy has been a qualified Physiotherapist for more than a decade. 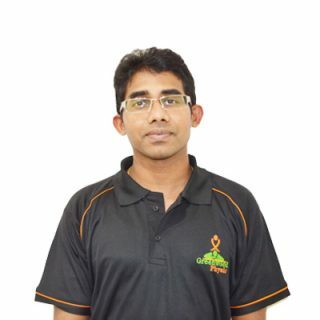 Richy has previously worked in India and Ireland in cardio-respiratory physio and rehabilitation. 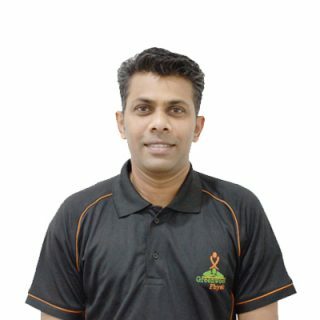 He is accredited trainer in patient and manual handling, qualified in geriatric care, acupuncture and completed training in treating paediatric patients with developmental delay. Fun fact – Richy is also a qualified botanist! Kinnary graduated from University of Notre Dame with a Bachelor of Physiotherapy in 2017. Kinnary also has experience working as a physiotherapist in India for 8 years, working in various settings such as acute trauma and intensive care unit. Currently Kinnary provides pain management, geriatric assessments, falls review/prevention programs. Mitch graduated from Edith Cowan University with a Bachelor of Science in Occupational Therapy in 2016. Mitch has been involved in providing complex pain management treatments as well as OT services in aged care. Mitch has a particular interest in developing his skills in the supervising, training and support of staff. Ashleigh graduated from Edith Cowan University with a Bachelor of Science in Occupational Therapy. Ashleigh has a particular interest in the area of oncology, which developed whilst studying in the Medical Oncology and Radiation Oncology wards in a Perth hospital.She previously worked at the Royal Australian Air Force Association (RAAFA) as an OT. Claire graduated from Curtin University in 2014 with a Bachelor of Science in Occupational Therapy. Claire has developed a keen interest in working in the field of pain management, where she is able to combine both her Occupational Therapy and massage skills to provide services to those in an aged care setting. Nicole graduated from Curtin University in 2017 with a bachelor of science in Occupational Therapy. Since then Nicole has worked in a variety of therapeutic settings, including paediatrics, disability and aged care. 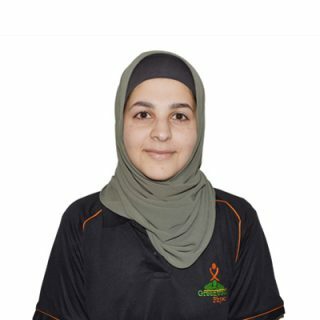 Safa graduated from Curtin University in 2017 with a Master of Occupational Therapy. Since then Safa has worked with Greenwood Physio in providing therapeutic pain management services to a number of aged care facilities across Perth. Safa enjoys volunteering in the community and playing badminton and volleyball. Rebecca graduated from Curtin with a Bachelor of Science in Occupational Therapy. 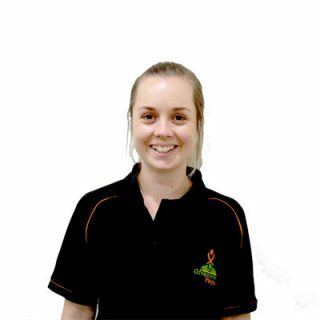 Rebecca is currently contributing to the Greenwood Physio Occupational Therapy services in aged care facilities based in Perth. Rebecca is also currently working as part of the Allied Health team at Hall and Prior in Subiaco. Pavitra completed her bachelors in Physiotherapy from a highly regarded Indian institute in 2015. Since 2015 Pavitra has worked as a Physiotherapist in sports, neurology, cardio-respiratory rehab and also as a fitness instructor. 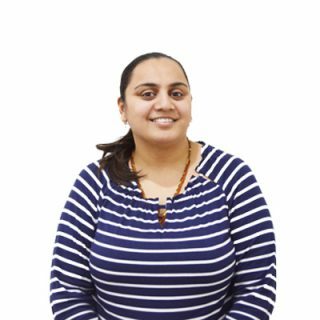 Pavitra moved to Australia in 2016 and is currently honing and nurturing her skills in aged care. 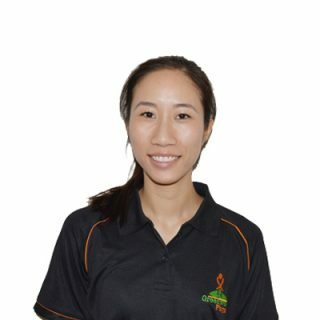 Beatrice is a qualified Occupational Therapist from Curtin University. 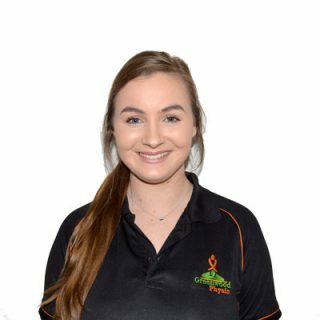 Beatrice joined Greenwood Physio in early 2018, currently practicing her expertise in pain management for Aged care. Beatrice has a passion for working with people who experience mental illnesses, physical disabilities or injuries. She strives to assist her patients in achieving happy and fulfilling lives. Natalia graduated from Nicolaus Copernicus University in Poland with a Masters degree in Physiotherapy. In 2014 Natalia became a credentialed McKenzie Therapist and recently completed her diploma in Remedial Massage. 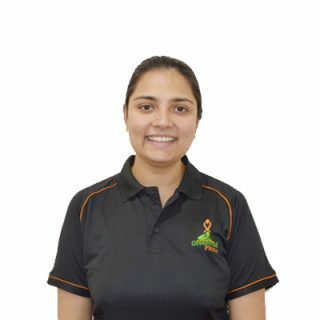 Natalia is part of the Greenwood Physio team in aged care services and also as an instructor for Group Rehabilitation classes.